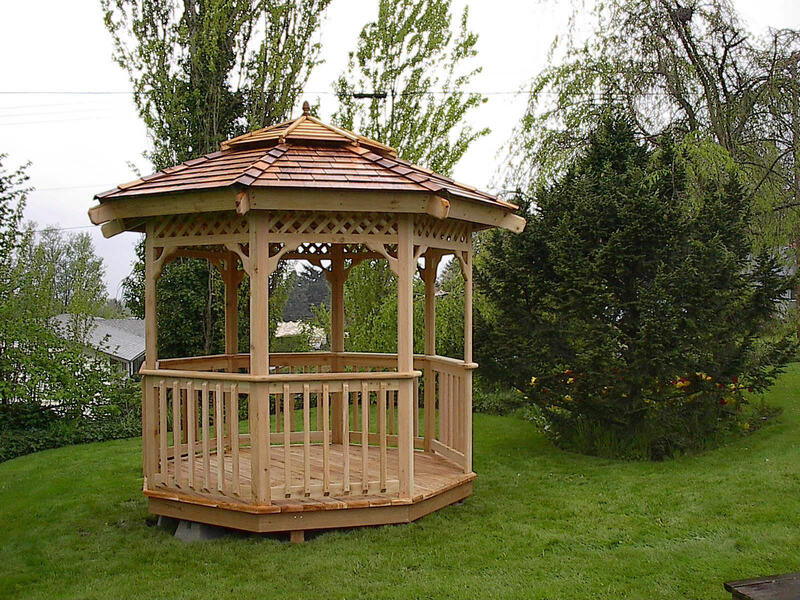 The 12' Traditional style Gazebo Kit. 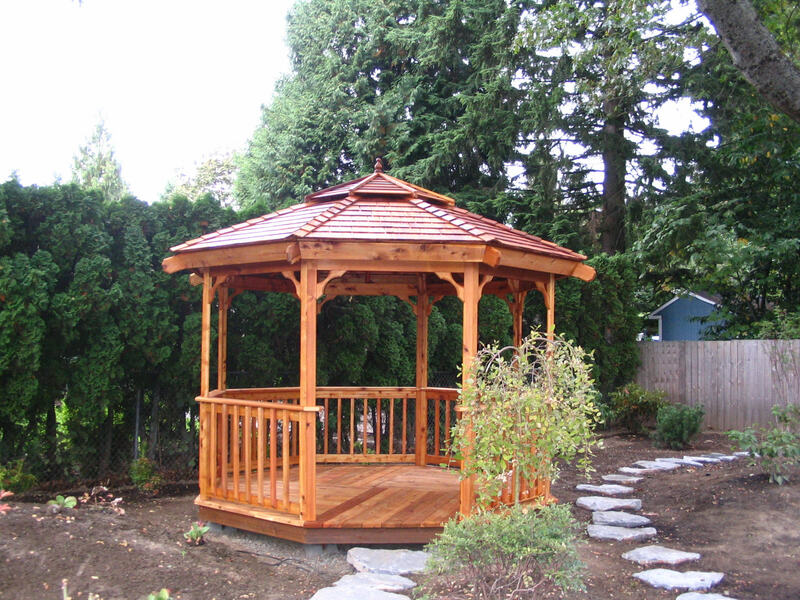 The 12' Traditional with a cedar shingle roof. 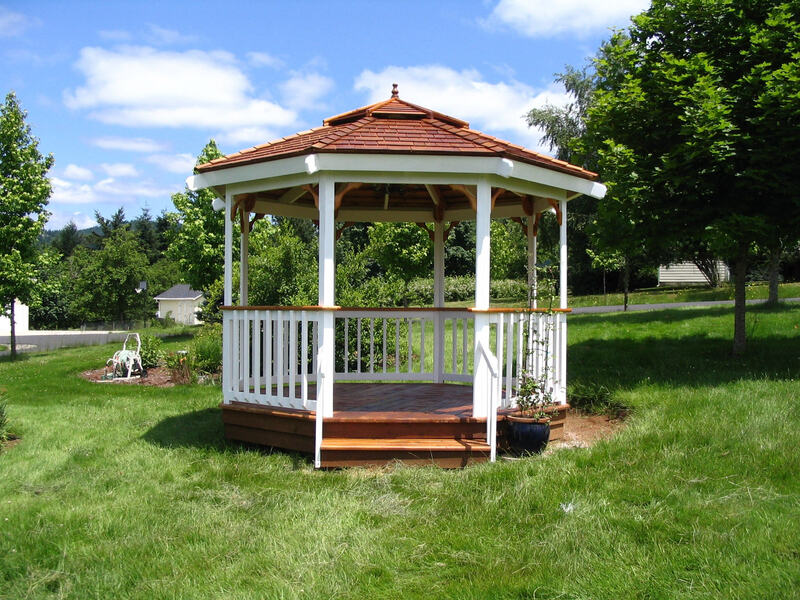 The 12' Traditional style gazebo is the most simple model we offer, enabling us to hold elegant lines and yet we lose nothing in structural strength. 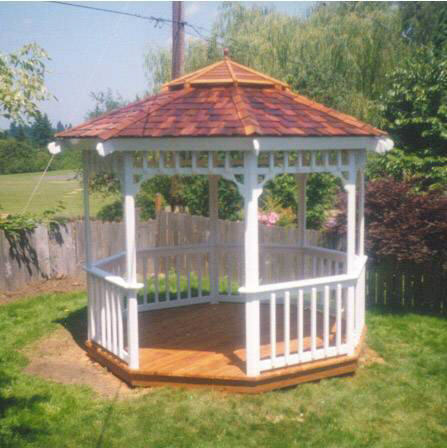 12'- Gazebo Structure with Deck ..................Weight is 2000 lbs for structure.